Galaxy Donut Wod Shorts, Yup! 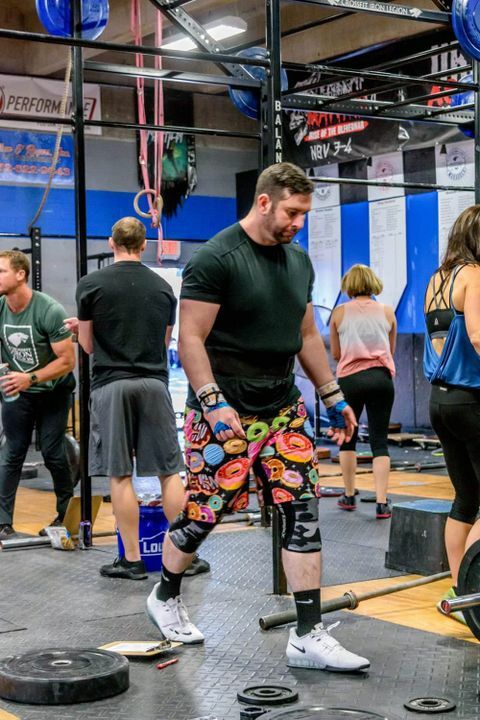 You know you love donuts and you know you need these badass wod shorts!! We debuted the “middie” version of these awesome creations as our a shorts of the month club & they broke records. So many of you asked us to carry them that we simply couldn’t say no. This unique dye sublimated design is loaded with donut awesomeness! This badass pair of wod shorts are in our super lightweight material. These are "dye sublimated" which means all the design is actually in the fabric so there is no "print" to peel or crack or grab bars while you lift. No matter where you wear these awesome shorts you will get compliments & they will get you a ton of compliments! These are excellent workout shorts. Great material. Austin G. Reviewed by Austin G.
The waistband is a little awkward, and I'm not sure how you would even tie it and need the velcro. The pockets also aren't deep enough for any recent phone. That is music to our ears! thank you for your patience & support with those, it was amazing how those sold out & had a wait list!